‘Tis the season to be... frugal with your tech purchases, and although Microsoft doesn’t exactly sell the world’s most diverse gadgets, at least the company’s signature Surface lineup is looking at some solid Black Friday discounts. “Most” deals will start at 12:00 AM ET on Thanksgiving Day (November 22), as revealed on the online US Microsoft Store, with no expiration dates listed at the moment. Four days earlier, the entry-level Surface Go is scheduled to go down to a starting price of $349, allowing fans of ultraportable 2-in-1 tablet/laptop hybrids to save 50 bucks on “select” models. 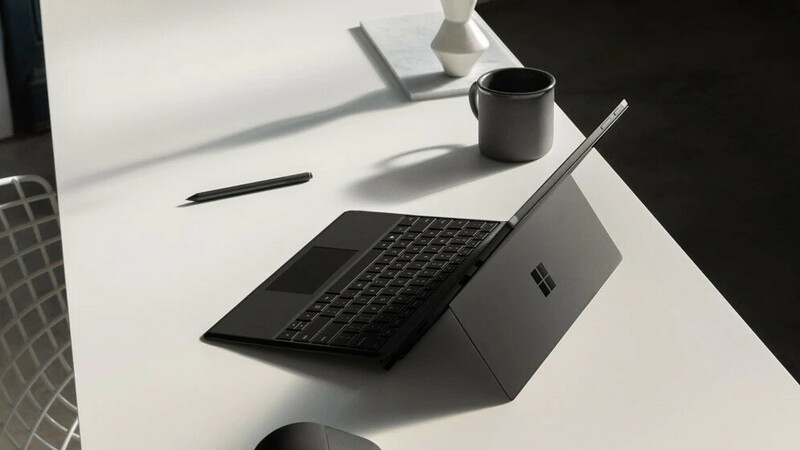 $349, of course, will not include a keyboard, unlike a Surface Pro 6 bundle also looking at a decent markdown on November 18. We’re talking $260 “instant” savings on a Core i5 configuration with a 128GB SSD, as well as a platinum Signature Type Cover. That particular combo typically fetches $1,059, so if our math is correct, it will be available for around $800 pretty soon. Meanwhile, Microsoft also lists an interesting Surface Pro (5th Gen) bundle deal as starting November 18, but in fact, that killer bargain is already up for grabs. An entry-level Intel Core M variant of last year’s Surface Pro with a platinum Type Cover sets you back $599 right now instead of a regular price of $909. That brings us to possibly the most exciting Microsoft Black Friday 2018 deals confirmed in advance, with $330 discounts coming for the hot new Surface Pro 6 in i5/256GB SSD and i7/512GB SSD configurations when bought alongside Type Cover keyboards. That’s not going to make the Windows 10 convertible tablet affordable, but the bang for buck will be hard to resist for productivity addicts and power users in general.